On my last day in Barcelona this summer, I decided to leave! 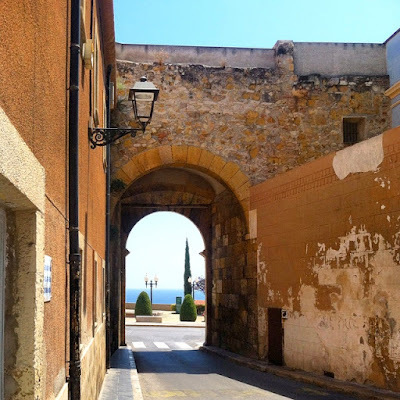 It was high time for me to reach beyond the borders of that awesome town, and, after many moments exploring Google Maps, I selected Tarragona for my daytime venture. The €8,05 train from Barcelona-Sants to Tarragona was air conditioned and had plenty of seats. It took just over one hour to get to Tarragona, and the train tracks run along the Mediterranean most of the trip. There are some more expensive trains that may be a few minutes faster, but it's basically the same to take the regional train and pay half the price. 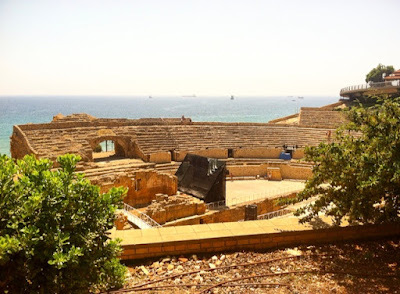 The Romans first called it Tarraco in their Hispania Tarraconensis province, and it was a popular fortification both for its position and great weather. It became a very wealthy Roman city and received much attention from various rulers. Tarragona passed through many different hands after the Roman Empire fell, and today is in the Catalunya region of Spain. 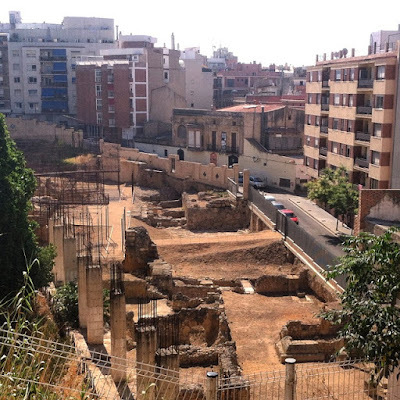 There have been ongoing projects for archaeological excavations and preservations throughout the city since the 1800s. 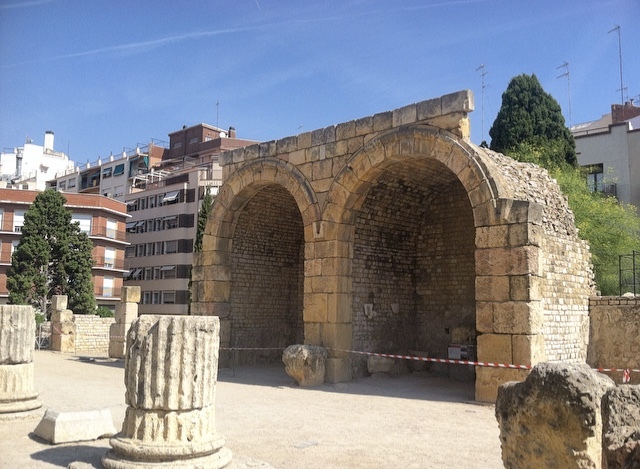 Starting our walk from the Tarragona main train station, our first stop is what's left of the Roman Theater. It's the best teaser for the day, as it is barely still visible, but has been well-cleared in the middle of the buildings. There is even a metal structure that does not impede the view to simulate how the theater would have been situated. Moving northward, there is a lovely park now where the Roman Forum ruins are. 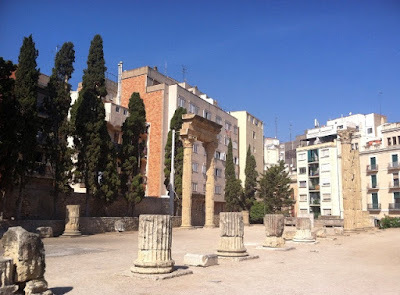 Entrance is €3,30 - however, I strongly suggest getting the Pass to Roman Venues combination ticket for only €7,40 that will include the Roman Forum, Passeig Arqueològic, Roman Circus, and Roman Amphitheater parks and is valid for an entire year. 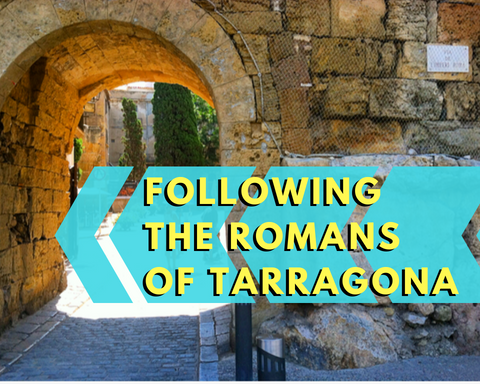 The next section doesn't really have anything to do with the Romans, but it doesn't make sense to be in this part of town and skip the Ramblas Nova plazas! 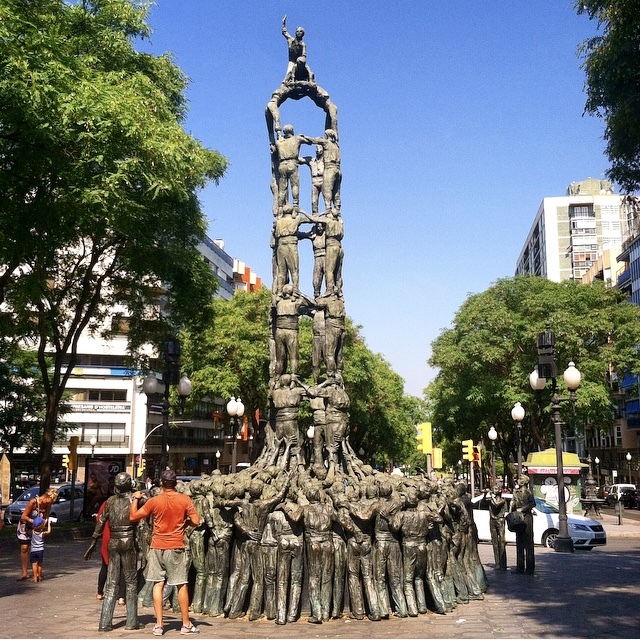 The Monument als Castellars is not to be missed, and the fountains and garden areas along the Ramblas are all worth a walk through. 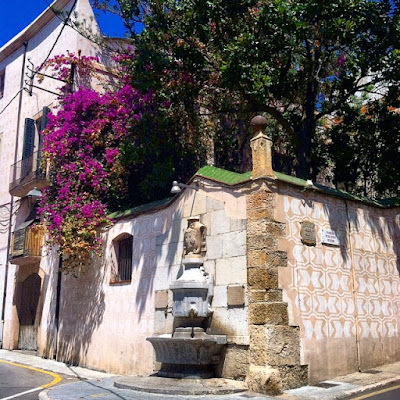 Heading northeast on Carrer de la Reina Maria Cristina, then right on Via de l'Imperi Romà will lead you to the Passeig Arqueològic where Roman walls are still intact. This park is included in your combination ticket! Jump forward in history just a little bit to the 1100s and visit the Tarragona Cathedral that has both Romanesque and Gothic architecture. It is one of the grandest cathedrals in all of Catalunya. I didn't particularly care for the front façade, but the rest of the cathedral was equally impressive and beautiful. It's also a great moment to take a break at the nearby Le Solet outdoor cafe area around the right corner from the front of the cathedral. There's no menu, but if you ask for classic Spanish snacks and tapas (I went with queso de Manchego and patatas bravas), great food at a great price will be placed in front of you. Wind any way you like down the mountain toward the ocean and you'll eventually end up on Passeig de Sant Antoni. Follow this street down the hill to the remains of the Roman Circus, where they used to have their chariot races. Next to these ruins that are included in your Roman pass, is the Torre de les Monges, where you can climb the tower for panoramic views of the city and sea. The Roman Amphitheater is the most well-situated ruin. Gloriously set against the backdrop of the Mediterranean Sea, the amphitheater is both awe-inspiring and extremely photogenic. Plus, it's included in your combination ticket! 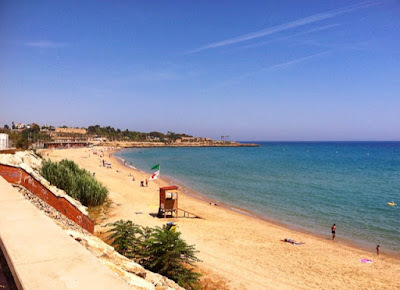 If you still have some time to enjoy Tarragona, you are now right next to Platja del Miracle, or Miracle Beach. It's across the train tracks, but definitely worth taking the streets down to the left or the beach walkway overpass on the right on a hot day for a dip in the sea and a resting break. And depending on where you station yourself on the beach, you'll only be a five to ten minute walk back to the train station. 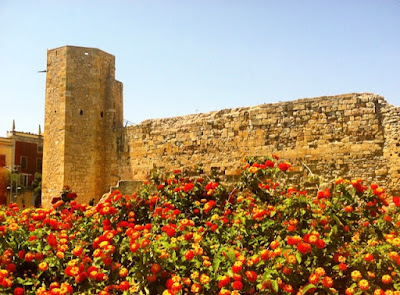 BONUS: if you are fortunate enough to have been visiting Tarragona in a car (less than ten minutes), or even with a bicycle (about 20 minutes), then you should absolutely make your way to the Aqüeducte de les Ferreres, or the Pont del diable. There is even a bus that takes you that way! I didn't have the means or time to get all the way out there, but it looks like it would be incredible! 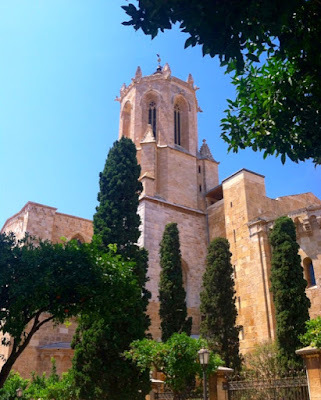 Tarragona is a fabulous day trip from Barcelona. I'm really glad I elected for a city trip instead of just a beach getaway to Sitges, because I still got to include the beach in Tarragona, too. 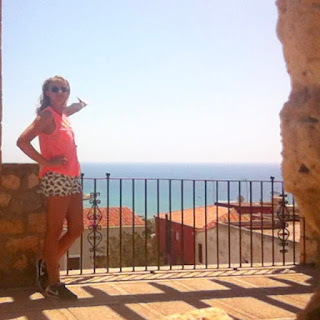 Enjoy the history and a very Roman place on the Spanish coast!